Over the last two weeks our constitutional review public information campaign advertisement has been published in newspapers across the country. We used the ad’ to inform the public that a review of our constitutional arrangements was taking place – and to encourage them to get involved. After all, public awareness is a key pre-requisite for any constitutional change process, and a Research New Zealand survey published in April had indicated that only a third of New Zealanders had even heard of the government’s review. The Constitutional Advisory Panel (CAP) had failed to reach out to the vast majority of New Zealanders, who had no idea that a review was underway. Critics say CAP’s consultation phase has been too rushed – spanning barely four months out of the more than two years that the Panel will have been in existence. They say that their strategy of prioritising Maori engagement and holding only “hosted” meetings has meant that most non-Maori New Zealanders have been excluded from the process. Whatever the reason for CAP’s failure to engage more fully with the public, we hope our advertising campaign has helped to create a greater awareness, as the consequences for New Zealand of a Treaty-based constitution are far too grave for us to stand by and do nothing. I would like to thank everyone who has contributed to the donation appeal and made the advertisements possible. At the heart of the debate about our constitution is the basic question of whether democracy and governance in New Zealand should be based on citizenship or race. For most New Zealanders, the answer is clear – we are New Zealanders first and foremost, and all other affiliations to race or religion or culture or any other status we might have, are secondary. In other words it is citizenship that should influence democracy and governance in New Zealand, not race, nor religion, nor any other aspects of cultural inheritance. Yet, the supporters of biculturalism – who want to see all New Zealanders defined by race and divided by racial privilege – have made troubling inroads over the years in integrating racial preferment into our legislative and regulatory framework. Perhaps the reason they have been so effective is the “soft” approach they have taken. Is it time to strip away the pretence and call it like it is? Racial classification is a founding principle of the apartheid system. It is also central to the biculturalists’ agenda – an agenda that most New Zealanders, including most Maori, oppose. The problem is that it is already widespread in our institutions. “In the overlay objectives and policies section, there are some intriguing rules proposed for areas that lie within the overlay of ‘sites of significance to Mana Whenua’. “Moreover, information relating to why Maori sites are significant can be kept secret, it appears. ‘Where there is sensitive information regarding the significance of the sites special protocols agreed with Mana Whenua will outline the management of this information’. Michael’s full submission to the council – in which he accuses the council of going beyond its legal obligation and straying into ideological excesses that will enable iwi to dominate and profit from the lives of other Aucklanders – can be read HERE. Since 2008, when the Maori Party became a coalition partner in the National-led government, corporate iwi has been pushing hard for a direct role in local government. Their ambition is to gain governance rights, not by standing for councils and being elected, like everyone else, but by influencing the process. A case in point is the Far North, where a Working Group – made up of 2 council representatives and 6 iwi representatives – was set up by the District Council in 2011 to push for a Unitary Authority. Such a reorganisation of local government would enable the cash-strapped Far North District Council to gain access to some of the substantial investment assets held by the Northland Regional Council. 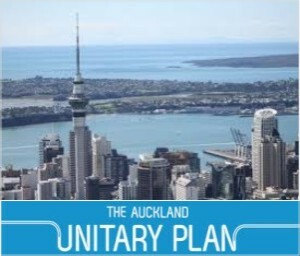 The proposal for a Unitary Authority was first put forward to the government back in 2008, after the Far North council had gained the support of local iwi. Their support came at a cost – iwi demanded the establishment of dedicated Maori seats on the new Authority, (or on the Far North District Council if the reorganisation did not proceed), and in addition, they wanted “non-electoral options for the engagement and involvement of Maori in decision-making”. In other words, the cost to Far North residents and ratepayers of iwi support for the Unitary Authority proposal is race-based representation – unelected iwi will sit as decision-makers at the council table and have their agenda progressed through some form of dedicated iwi liaison board. That “new sense of nationhood” they are describing is, of course, the co-governance of New Zealand. All around the country, in incremental ways, this goal is being relentlessly progressed – and is quite independent of the attempt by iwi leaders to fast-track the process through the constitutional review. So concerned are we at the New Zealand Centre for Political Research at this “inexorable” build up of race-based privilege, that we have been documenting these “incremental” developments on a daily basis. Over the last few months, “The Mole” has been searching out such information and sharing it in “Mole News” HERE (don’t forget to bookmark the page if you want to check it out on a regular basis). For instance, Sunday’s bulletin revealed just how much of the country’s natural resources are now owned by iwi – thanks largely to the governments’ Treaty settlement process: “The amount of primary sector resources that are now in Maori hands is quite significant. Government figures show 40 per cent of fishery quotas are controlled by Maori, 43 per cent of New Zealand’s forests are grown on land owned by Maori and 25 per cent of the country’s beef and lamb are grown on land owned by Maori. Maori also own 960,000 hectares of freehold land that, given a substantial injection of cash, could be converted to beef and lamb and dairy farming.” I think those statistics are more than “quite significant”, they are astounding! The next item mentions that while the ‘New Zealand Health and Disability Act 2000’ provided for regional Maori representation in District Health Board governance, there “was little cultural or historical understanding of the damage to Maori health brought about by the process of colonisation”. Another article explains that because Communications Minister Amy Adams has ruled out any special allocation of the 4G spectrum (freed up by the shift to digital television and worth billions of dollars) to Maori, iwi claimants and the New Zealand Maori Council will lodge a claim with the Waitangi Tribunal by the end of the month. The day before there was a story about how the Maori Party MP Te Ururoa Flavell plans to draft a private members bill to manipulate the electoral system to ensure new Maori voters are automatically placed on the Maori roll instead of giving them the choice of going onto the general roll or the Maori roll. The Maori Party knows this will dramatically increase the number of Maori on the Maori roll and therefore the number of Maori seats in Parliament! The point is that racial preference is now being progressed at every level of society, and the push by the elite of Maoridom for constitutional rights to establish race, not citizenship, at the heart of our democratic affairs, would provide the over-riding mandate they have long been seeking. In his submission to the Constitutional Advisory Panel (which is outlined in an article in this week’s Listener), Michael Littlewood, the Director of the Retirement Policy and Research Centre at the University of Auckland, has argued that the present system for determining who is Maori – through having a smidgeon of Maori blood and feeling Maori – is such a “flawed concept” that it “has no place in a modern society”. He explains that the distinctions between Maori electors and others, and between Maori MPs and others, are now “indefensible”. He says it is time to stop trying to define today’s New Zealanders by race as the process used by Statistics New Zealand is totally compromised since it counts only Maori ancestors – no matter how distant – and ignores all others. Crucially, since this information is used to determine the number of Maori seats in Parliament, he concludes, “But rather than changing the basis for determining the number of Maori seats, I prefer to see them abolished altogether”. In his submission he has called on the Constitutional Advisory Panel to recommend the abolition of race-based representation, saying that abolishing the Maori seats would be good for the country and that there is “no justification to continue race-based separatism in 2013”. Submissions to the Constitutional Advisory Panel close at 5pm on 1 July and can be made HERE.